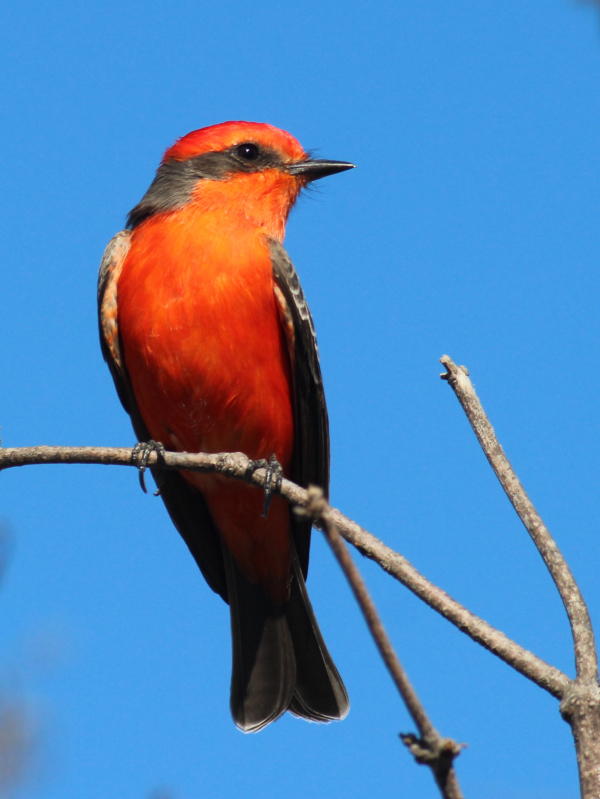 A male Vermillion Flycatcher photographed last week was the ninth state record for Michigan. Among the rarest birds reported last week was the first state record Tufted Duck for Colorado, which birders located west of the city of Estes Park in Rocky Mountain National Park. Two other Eurasian species were found in the Northeast, a Ruff in Massachusetts and a Barnacle Goose in Quebec. An exciting Caribbean species, a Key West Quail Dove, was photographed in northeast Florida. Plus, a ninth state record male Vermillion Flycatcher was photographed and continues to wow birders in South Haven, Michigan. In addition to last week’s new additions, South Texas birders continue to enjoy sightings of the Yellow Grosbeak and Crimson-collared Grosbeak, and if you’re near the Fallaron Islands, the Blue-footed Booby was still being sighted off the coast of San Francisco. Good luck in all your birding endeavors; it takes that and more to find a truly rare bird.